Do you have trouble staying awake when you meditate? Do you feel like it’s wrong, or bad to fall asleep — or that you’ll miss out on the benefits of meditation if you doze off? Does falling asleep mid-practice feel frustrating, or embarrassing? These are common concerns — especially for beginners — but they aren’t necessarily problems, even though they’re often treated as such. I would argue that falling asleep is a sign that you’re meditating perfectly well. Afterall, meditation is designed to be relaxing. And sometimes it works so well, and so quickly, that you catch yourself snoring. Why not give yourself a pat on the back? You’ve just relaxed to the full degree possible! But — you might say — I don’t want to fall asleep, I want to meditate. That’s fair enough, but consider this. When you meditate, the parasympathetic arm of the nervous system kicks into gear. That’s the part of the nervous system which winds you down towards sleep. In other words, meditation mirrors the process of falling asleep — so it will often feel like you are doing just that. And that’s why it really is okay to nod off. Every meditator will — from time to time. It’s nothing to worry about. 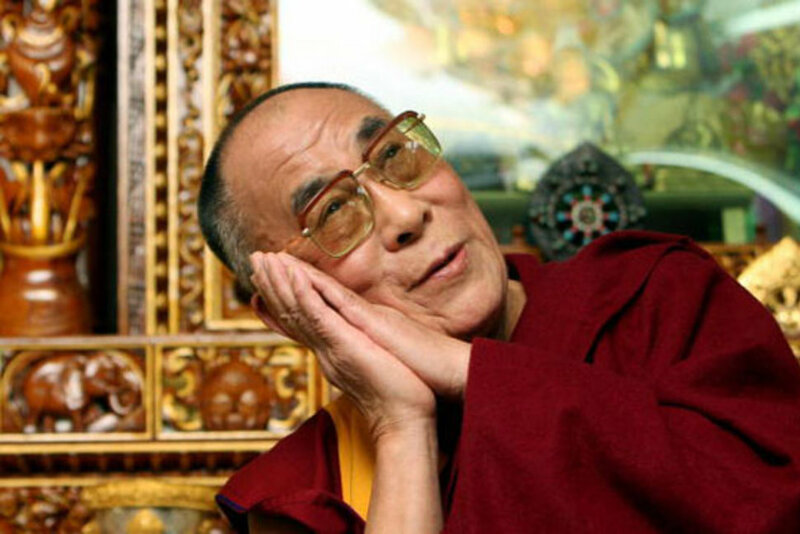 Besides, the Dalai Lama says that “sleep is the best meditation!” and who are we to argue with him? But if it really is okay to fall asleep meditating, why do you hear so many meditation experts telling you not to? Why do you fall asleep during meditation? We’ve already noted that meditation is likely to induce sleep simply because it triggers relaxation. But there’s more. You may be choosing to meditate when you’re in need of rest: after lunch, after a full day at work, just before bed, first thing in the morning, around 2 pm. These are all times when energy levels may be low. On top of that, you may not be getting enough shut-eye. Apparently there’s no evidence to support the idea that we’re getting less sleep than we did decades, or centuries ago, but I have no doubt that many people aren’t sleeping enough. If you’re a new parent, it’s almost inevitable that you’ll have a significant sleep debt. And anyone who works more than 40-hours a week, or requires an alarm to wake up, will probably be in-the-red too. If that’s the case, then sleep is probably what you need. And if meditation sends you to sleep, then it’s just doing its job. Sometimes you have to slow down just to notice how tired you are. Of course, if you want to torture yourself, feel free to pull your earlobes, sit uncomfortably (or somewhere very cold), or bite your tongue. These are all recommendations some teachers make. 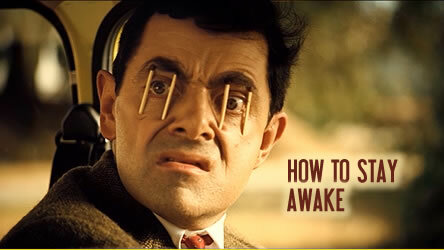 But will forcing yourself to stay awake really help? Is that the kind of attitude that’s beneficial? In my experience, it’s learning to listen to and respect the needs of your body that helps; not denial, or force, or willpower. Taking a cold shower, visualizing bright lights and emphasizing the in-breath may help to keep you awake, but at what cost? These strategies might just reinforce the habits and attitudes that lead to stress, overwhelm and burnout. Would it not be wiser and kinder to acknowledge the need for rest, and to let your meditation be nap-like and drowsy, especially if you are legitimately tired? If you do permit yourself to rest (instead of fighting to stay awake), you may find that your energy returns much sooner. Trying to stay awake often just tires you out further. It’s hard work, and you can’t win that battle. But is that really sleep? Do you really fall asleep, or do you just think you do? I’d estimate that 99% of the people complaining that they fall asleep during meditation actually don’t fall asleep at all (unless they’re lying down). Meditation, as we’ve seen, mirrors the process we go through as we fall asleep. Physiologically, our heart rate lowers, and our body chemistry, muscle tone, breathing and thinking patterns may also match those we experience at bedtime. In other words, because the states you experience during meditation and sleep can be so similar, you may mistake the former for the latter. that you forget where you are or can’t recall what happened. Experiencing these things — that normally only happen when you fall asleep — cause you to assume that you are asleep. And physically speaking, you could be right. But unless your head is resting on your chest, you’re probably not. There’s a flicker of awareness that remains alive. You might be as close to hibernation as is humanly possible, and you might not quite know where you are, but you’re not unconscious. You’re still noticing what’s going on, if only to a subtle degree. In other words, sleep and wakefulness are not as black-and-white as we assume. Consciousness unfolds on a spectrum, from wide awake through to sound asleep, and there are many points in between. In meditation, we can explore this full spectrum, for there are things to learn from every point along it. Is falling asleep in meditation really so bad? Much of what we hear about meditation has been handed down to us by the monks and yogis of ages past. They usually practised in a religious or spiritual context and their concern was with liberation, enlightenment or some kind of transcendent experience. They were striving to be awakened, not asleepened. For them, drowsiness (referred to as sloth and torpor in many Buddhists texts) was considered a hindrance. But does it have to be a problem for you? By and large, the goals and views handed down to us from these traditions haven’t been adequately questioned. Messages which may be outdated, inappropriate or just plain wrong, continue to get propagated. This is one reason sleep continues to get a bad wrap. But sleep deprivation is actually a form of torture. And anyone with insomnia will happily tell you that sleep is a rather wonderful thing. some form of spontaneous healing might occur. It’s also the territory a shaman might consciously visit — a rich, trance-like zone, characterised by unique brainwaves and from which you might emerge feeling incredibly rested, refreshed or joyous. Experienced meditators will be familiar with this zone. They’ll also be able to differentiate between it and the descent into regular sleep. Beginners, on the other hand, may not be able to make such distinctions. They’ll just assume that they’re asleep. Being able to tell the difference is a key meditative skill, and one that requires that you explore the territory, even if that means nodding off now and then. consciously entering a state of deep sleep-like relaxation or concentration? I’m not sure that there’s an easy way to tell, though with experience it should become clearer. One thing to be aware of is that the way you meditate may influence how wakeful you remain. Some techniques require a more active or focused approach. Other’s encourage you to adopt a passive or receptive stance. I find that techniques that require you to continually return your attention to some anchor, such as the breath, don’t allow you to access dream-like states quite so readily. But people still fall asleep practising in this style, so there aren’t really any hard and fast rules on what will keep you wakeful, or send you into the world of dreams. If you’re interested in exploring the sleepy end of the spectrum I would suggest that you let your thoughts and emotions be a part of your practice and don’t be concerned if your attention wanders a lot. By now I hope you’re okay with falling asleep when you meditate, at least some of the time. However, if you’ve read this far perhaps you’re still hoping for some advice on how to stay awake. Recommendations abound, but before we explore them, I’d like you to consider why you want to stay awake. When we meditate, we want to be aware, alert and awake. Try to focus on your meditation object no matter what. Combat the urge to doze off. Be diligent. Remain alert, very alert. Sleep and mindfulness are opposites. Meditating and sleeping are two distinct activities and should not be mixed together. When you fall asleep while meditating, you will not gain the complete benefits of meditation. Where do all these rules come from? What is their purpose? Why do we need to remain aware and alert? Is that always the best strategy? Why do we need to remain focused? Could it be possible that our best insights will come when we’re not so focused, or trying so hard to keep our mind alert? Are sleep and mindfulness really opposites? Might it be possible to be mindful when we’re close to sleep? I haven’t found any of the commonly touted reasons for not falling asleep to be valid. It’s true that meditation and sleep are different. It’s also true that if you think you’re meditating when you’re actually sound asleep, then you’re deluding yourself. But that doesn’t mean we have to demonise sleep and sleep-like states. Nor does it mean that you shouldn’t use meditation as a tool for falling asleep. It can be very helpful in that regard. If you always meditate lying down, try sitting up. If you always meditate when you’re tired, meditate when you’re wide awake. If you meditate in bed, try the kitchen instead. If have you narcolepsy, see a doctor. Stand up and do some mindful stretching, yoga, or tai chi. Take a shower or wash your face. Don’t meditate where you sleep, or just before bed. Open a window. Let some fresh air in. Meditate somewhere that’s not too warm and cosy. Don’t have a big meal just before you meditate. Pick a time when you are most alert. Meditate with your eyes open. Focus upon, and emphasize, the in-breath. Listen to uplifting or energizing music. Ask: Am I just really tired? Consider taking a nap, or ensuring that you do get enough sleep. It’s okay to fall asleep during meditation. If you’re genuinely tired sleep is probably just what you need. It’s common to mistake deep meditative states for sleep. Some of the most beneficial meditative states are accessed on the cusp of sleep. Meditating in bed, or while lying down, will tend to induce sleep. It really is okay to fall asleep during meditation. If you fall asleep occasionally, you don’t have a problem. There’s no point criticizing yourself for falling asleep. It’s not something you have control over. In some meditations you’ll feel sleepy, in others, you’ll feel wired. Why not enjoy each for what it is? Get more counter-intuitive suggestions on how to meditate effectively.